-Prepare the Spring roll pastry sheet according to the instruction on the package. -Gently fold the papaya flesh, desiccated coconut, coconut sugar in the small bowl. -Lay the spring roll sheet on the flat surface and put about 1 tablespoon of the papaya mixture on the sheet. Then roll as of how you would prefer. Damped the pastry edge with water to seal the spring roll. Repeat the same process until finish all the filling. -Heat the coconut oil in the frying pan. -Fry the spring rolls until the sheet becomes crispy and golden in colour (approx 4-5 minutes. -Transfer the Papaya Spring Rolls onto the kitchen towel and serve Papaya Spring Rolls immediately. 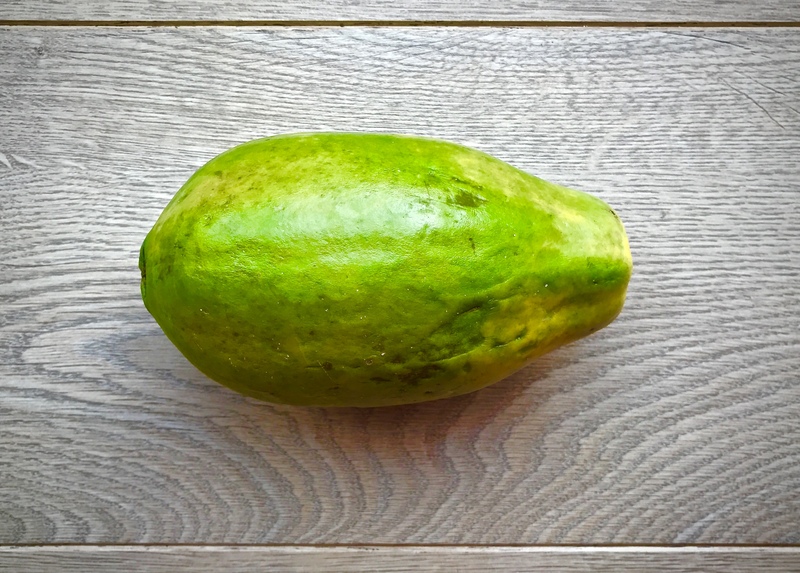 -Can’t find the papaya? Use the ripen mango instead, it just as delicious (or even better)! -You can cook these spring rolls in advance and reheat them in the oven 200-degree Celsius in the oven. 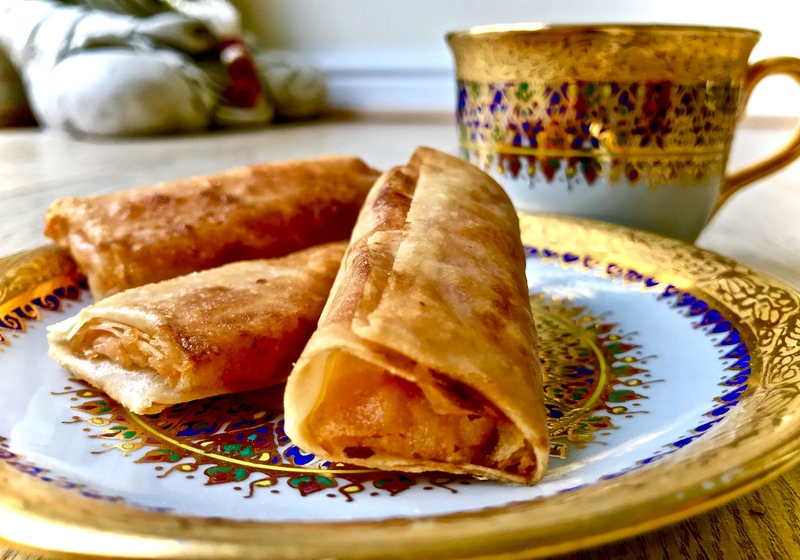 -Papaya Spring rolls are lovely as a healthy sweet treat with hot drinks.